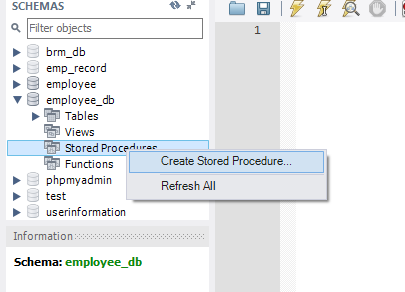 Home Stored Procedure How to create and execute Stored Procedure in MySQL? 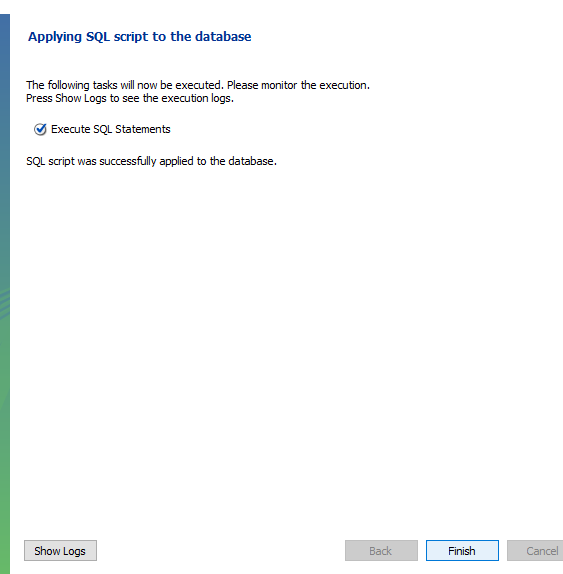 How to create and execute Stored Procedure in MySQL? In our programming, if any code repeatedly required then we can define that code inside a method and we call that method multiple times based on our requirement. Hence the method is the best reusable component in our programming. Similarly, in the database programming, if any group of SQL statement is repeatedly required then we can define that SQL statement in a single group and we can call that group repeatedly based on our requirement. This group of SQL statement that performs a particular task is nothing but a Stored Procedure. Hence Stored Procedure is the best reusable component at the database level. Hence Stored Procedure is a group of SQL statement that performs a particular task. These Procedure stored in database permanently for future purpose and hence the name Stored Procedure. Usually, Stored Procedure is created by Database Admin(DBA). Every Database has its own language to create the Stored Procedure. Similarly to method stored procedure has its own parameters. Stored Procedure has 3 types of parameters. 1) IN parameter : IN parameter is used to provide input values. 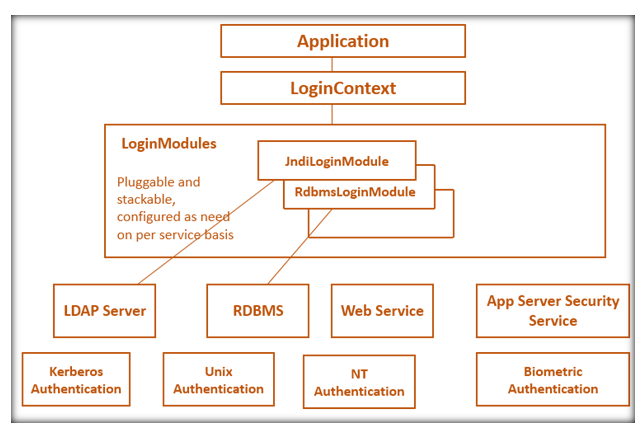 Read: How to use a Prepared Statement in Java? We use the CREATE PROCEDURE procedure_name() statement to create a Stored Procedure.you can give any name to the stored procedure. Similarly to method Stored Procedure has its own parameter. In parenthesis, you can write IN and OUT parameter. Right, click on the Stored Procedure. Click on create Stored Procedure. Here it will open a new window, here you will give a procedure name. After giving the Stored Procedure name, you can write a SQL statement between BEGIN and END. Then click on apply. It will open this window. Before we apply to the database, we can review the script one time and click on apply. 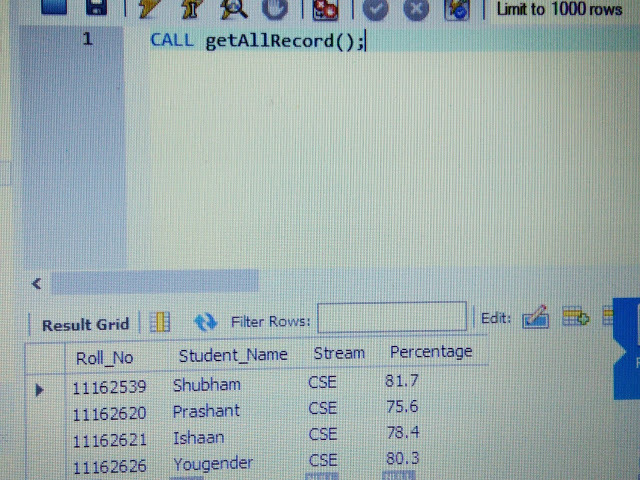 After clicking on the finish, you can see getAllRecord() Stored Procedure are stored in Stored Procedure catalog. You use the CALL statement to call the Stored Procedure eg: to call the getAllRecords() Stored Procedure, you use the following Statement. If you execute the above statement, you will get all the record from the training table.